The role of District and Parish Councillors will be showcased for residents interested in standing as candidates in this year’s local elections, at an event hosted by Blaby District Council. The Prospective Councillor Event takes place on Tuesday 29 January from 6pm at the Council offices on Desford Road, Narborough, LE19 2EP. Councillors come from all walks of life, age groups and backgrounds, and play a key role in shaping the future of their local communities. The event will highlight the varied roles of a Councillor, with visitors able to ask questions. Anyone with a genuine interest in what happens in Blaby District and who want to represent their local community are welcome to come along to find out more. There is no requirement to be a member of a political party to attend. 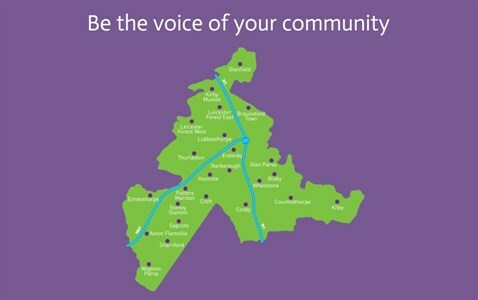 Jane Toman, Returning Officer at Blaby District Council, said: “We are really keen to encourage anyone interested in representing their community to attend this event to find out more about becoming a Councillor. For more information, including the full programme of events, visit the District Council website, or call Tel: 0116 275 0555.